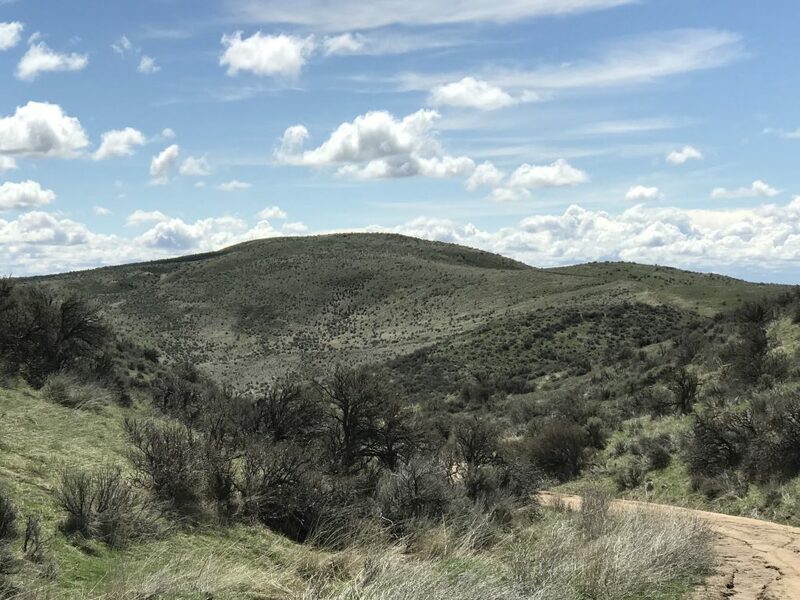 Highland Peak is located roughly 1.8 mikes due north of the Lucky Peak Dam. ID-21 circles the southern base of the mountain and the dirt Highland Valley Road crosses the peak’s northern slopes. 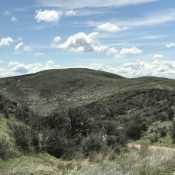 This peak has great views of the Lucky Peak Reservoir and the Boise Mountains. Two routes are set out below. Highland Mountain viewed from the north. 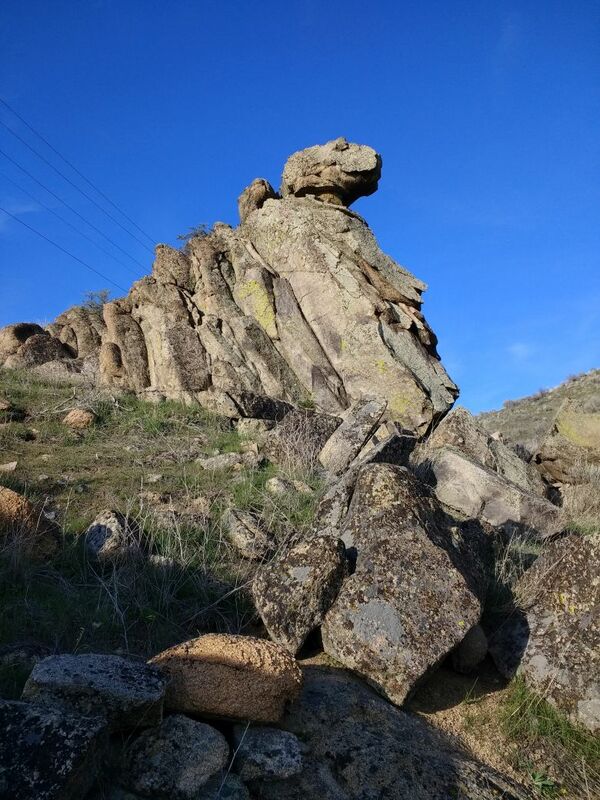 This route is accessed from ID-21, approximately 2.4 miles north of Lucky Peak Dam. Keep your eyes peeled for the turn off on the west side of the highway, which is signed as the Highland Valley Road. There is room for five vehicles to park at the intersection. Fish and Game closes this road to vehicles annually during the winter. Most years it reopens April 15th (something to look forward to other than taxes). 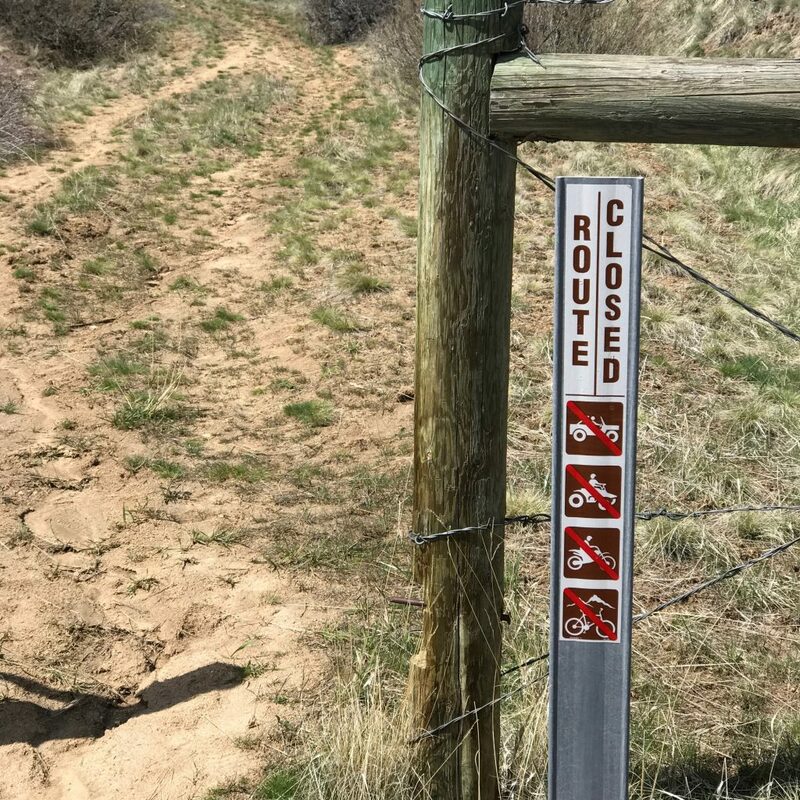 Pay attention to signs on the gate, as the road may occasionally be closed at times to hikers and mountain bikers. A little farther up the road, you will reach a cattle guard and a second parking area (see the route orientation map below). Continue past the the second parking area to a junction 1.3 miles from the highway. (A right turn at this junction will take to to Shaw Mountain aka Lucky Peak.) Continue straight through a gate for around a thousand feet and then turn left/south onto the old 4WD road that climbs up the peak’s north ridge to the summit. The area past this junction is closed to everything mechanical. This sign, 1.3 miles from ID-21, closes the route to all but foot travel. 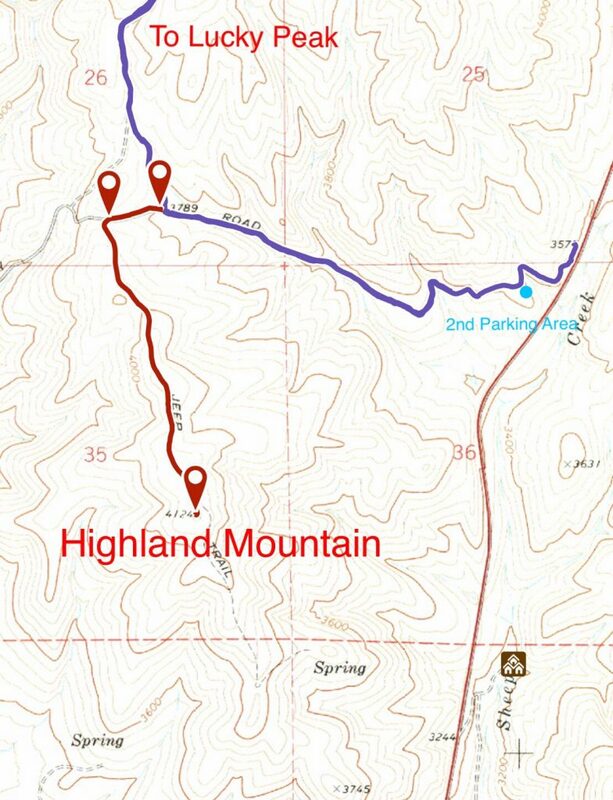 The route to the summit utilizes the Highland Valley Road (blue) for the first 1.3 miles and then an old 4WD road closed to mechanical contraptions for the last mile. Round trip from the highway is 4.6 miles with 560 feet of gain. 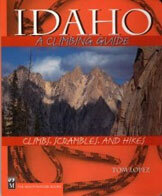 This Route utilizes the Ridge to Rivers West Highland Valley Trail #11 to access the peak’s north ridge. 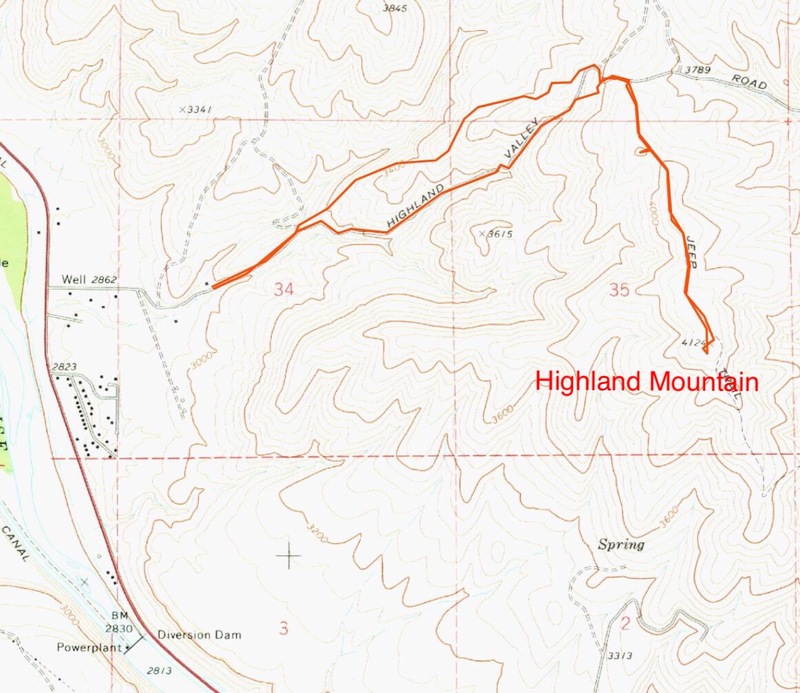 This route is accessed from the East Highland Valley Road which is reached via Warm Springs Avenue. Google Maps will give you directions. The route is shown on the map below. Note that there is an unofficial trail located north of the main trail that provides and alternative path. Paul Jurczak’s GPS track for the West Highland Trail approach to the peak’s north ridge. Paul’s route is 5 miles round trip.